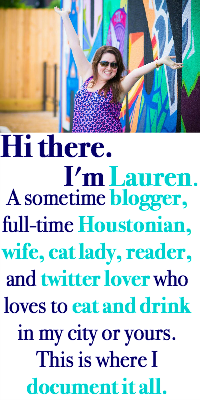 Eat, Drink, and Be Lauren: read this, not that. I still can't believe you didn't like flat out love!! I didn't realize it was a blogland "hype" book but I really enjoyed it and the books that came after it! I read the first 20 pages or so of me before you and gave up. I just don't think it was my cup of tea. Yes, Please is on my to read list. It may get moved up a few spots now. I'm not a fan of Lancaster at all. I'm a huge fan of Poehler and have been forever. I liked that she didn't dish on her divorce and that she gave mad love to all of her people - friends, family, crew, cast, etc. I loved Me Before You and also ugly cried. Defending Jacob...I wanted to beat the dad over the head. Hello! I have Me Before You and Yes Please on my to read list. I am like you, if the character isn'y likeable, I have a really hard time following along. Okay now I am excited to read Me Before You, tissue at the ready. Lancaster has totally fizzled for me, probably won't read another of hers. Yes, Please is on my list. I've had Defending Jacob on my to-read list for a while now, but just never got around to it. I'm not sure I will, it sounds like the characters are annoying. Yes Please has been on my list for a while. I liked Tina Fey's book a lot. I read Me Before You and I was not gaga. I liked it, but not gaga. And now there will be a movie. I haven't read any of Jen Lancaster's fiction cause I gave up on her memoirs after the 3rd one? If you like funny memoirs, which you clearly do, read Laurie Notaro. Her older stuff is funnier of couse. lots of books for you!!! I loved Me Before You, great story that made you think. I've been reading a lot lately but nothing fabulous, I did read Sharp Objects by Gillian Flynn and I've decided something is wrong in that ladies brain. I still don't know if I loved or hated the book.